The big screen documentary about legendary black activist Angela Davis. 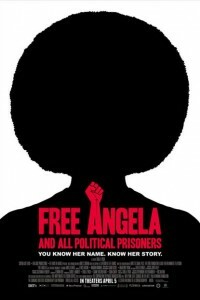 Free Angela is a big screen documentary detailing the high stakes crime, political movement, and trial that catapults the 26 year-old newly appointed philosophy professor, Angela Davis, at the University of California at Los Angeles into a 1970s revolutionary political icon. Nearly forty years later, and for the first time, Angela Davis speaks frankly about the actions that branded her as a terrorist and simultaneously spurred a worldwide political movement for her freedom. Free Angela has appearedat the Toronto International Film Festival Gala World Premiere (2012), London International Film Festival (2012) and Stockholm International Film Festival (2012). Before Iraq, before the Bush Administration, before the Dixie Chicks, Bruce Springsteen, and Pearl Jam . .